In January, dozens of Dartmouth students congregated in a sweltering fraternity house to see and meet the first major Democratic Presidential candidate, Congressman John Delaney (D-MD). The event consisted of Delaney making a speech, answering questions from the crowd, and staying around to mingle with students. I had the opportunity to not only see the event, but to take Rep. Delaney aside to ask a few questions, ultimately arriving at the conclusion that Delaney stands virtually no chance at winning the Presidency barring Herculean improvements to his message. Delaney focused his campaign pitch on a few theses that make for a compelling message on the surface. The Congressman was born into a blue-collar family and attended Columbia University and Georgetown University Law Center. Like current President Donald Trump, he became a wildly successful entrepreneur, spearheading two different companies that became publicly traded on the New York Stock Exchange and won him a slew of entrepreneurship awards along the way. Following his lucrative business ventures, Delaney was elected to the House of Representatives, where he has dutifully served for the past five years, giving him experience navigating the political arena and the process of lawmaking. His background certainly has appeal to voters: a man who started off in a blue collar family and built himself up through entrepreneurship, without million dollar loans, and finally ascended to become a legislator is surely someone experienced with politics as well as the economy, and someone who has clearly worked hard to attain success. Delaney said he wants to cater to rural voters disillusioned by globalization and automation, and it is feasible that they would find refuge in a man who hails from similar roots and became successful in a difficult economy, without any of the baggage that Trump comes with. Furthermore, Delaney offers a message of bipartisanship and open-mindedness not too different from what former President Barack Obama campaigned on in 2008, pointing out the hyper-partisan times we live in and its deleterious effect on public policy. Indeed, a substantial majority of voters agrees with Delaney that Democrats should work with Trump and Republicans, so his message of cooperation could be appealing. However, past these surface positives, Delaney has many weaknesses that should preclude him from winning the Presidency. First and most importantly, Delaney’s message is contradictory and confusing. Delaney is attempting to appeal to low-wage workers and disillusioned rural workers, but he supports a multitude of policies that will alienate them come the Democratic primaries. For one, when I asked him about trade and globalization, Delaney immediately jumped to the defense of the Trans-Pacific Partnership, a piece of legislation so disliked that even Hillary Clinton reversed her stance on it to appeal to swing voters. The TPP, which essentially seeks to remove trade barriers in Pacific countries, especially Asian ones, can and has been spun by candidates like Bernie Sanders and Donald Trump as exporting jobs to China. In addition, Delaney unequivocally supported affirmative action when asked, a policy that would easily be spun by Trump as alienating white people, who, once again, are the core voting bloc that Delaney says he will represent. That said, it is possible for a candidate to win the Democratic primaries without appealing to those voters, as Hillary Clinton did. If Delaney can muster enough appeal to mainstream Democratic voters, he could take the nomination and then ride an anti-Trump wave to the White House. Unfortunately, he doesn’t seem interested in appealing to those core Democratic voters. For minority groups, whose vote was so important that it was statistically the biggest reason why Obama won the presidency and Hillary Clinton did not, it is easy to see Delaney coming across as another old, establishment white man trying to use them for votes; in his speech, Delaney never mentioned mass incarceration, police brutality, the racial income gap, or any other issues that many people of color find salient. Partisan Democrats will surely be repulsed by his ideas of cooperation and trying to work with Republicans instead of fighting their agenda. America is more polarized than ever before and the most loyal Democrats, the ones who show up for the primaries, are the ones who hate the Republican party and its policies the most. While it is true that most voters believe in bipartisanship, many registered voters don’t show up to the ballot box, and those that do tend to be the most extreme ideologically. Finally, for anti-establishment progressives, it will be difficult to see Delaney as anything other than the Wall Street establishment, given his history in banking and pro-globalization stance. Perhaps most importantly, Delaney simply isn’t charismatic. A candidate with personal appeal and the ability to connect to people could potentially overcome these barriers, like Donald Trump overcame his numerous flaws in 2016, but Delaney has none of Trump’s ability to grab attention. He rarely smiled, spoke with little vocal inflection, and the consensus among students seemed to be that he just didn’t capture anyone’s attention or imagination. One prominent member of the Dartmouth College Democrats who attended the event remarked, “He’s just bland. He talks like a politician.” Even his campaign slogan, “Focus on the Future,” is vague and fails to inspire emotion or urgency. Every political candidate looks toward the future; Delaney’s catchphrase is a waste of what should be more powerful and compelling. Ultimately, Delaney’s strengths are far outweighed by his weaknesses. His experience is compelling and many of his ideas are interesting, but he has not packaged those qualities into a powerful message. He is a rather old white man who was the head of two banks and supports the TPP, someone who can easily be painted as the establishment, especially given that he lacks the rhetorical chops to fend off any candidate well-versed in persuasion. He doesn’t appeal to minority groups or to partisan Democrats, and the people he claims to want to appeal to are the same people he alienates with affirmative action and globalization policies. 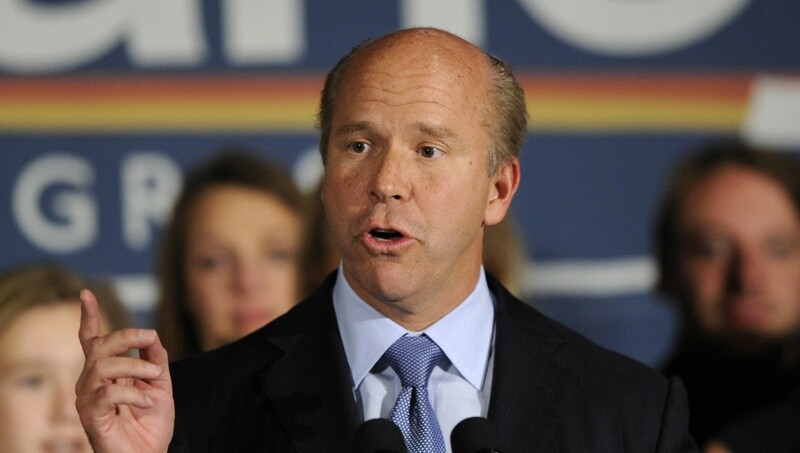 Delaney’s chances are slim to none, and he will almost certainly not be the Democratic nominee for President in 2020.